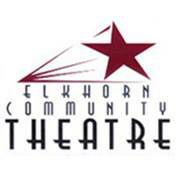 The Elkhorn Community Theatre was founded on the objective to involve as many members of the community of Elkhorn as possible by participation in committees, by performing, or by attending the productions. It is our hope that providing this outlet will give the citizens an opportunity to bond as a community, and to improve the quality of life in Elkhorn. The Elkhorn Community Theatre, a 501(c)(3) nonprofit Nebraska corporation, was founded in April 1998 upon the idea that every community can benefit from participation in the arts. Theater brings together many different talents and specialties, from the obvious, such as acting and singing, to the not-so-obvious, such as construction, choreography, lighting specialties, sound specialities, costuming, etc. Seussical is fun for the whole family! Performers of all ages will be excited to portray the characters from the familiar Dr. Seuss fables.